Born to satisfy the dream of every racers, Dream Racing Car is an incredible Incremental game that you might want to check out now! This game is not just a normal racing game with stunning, glorious cars! In the gameplay, you will get into your own journey with the car built by yourself. Some car parts are given to you right at the beginning so that you can assemble them to your car, some others can be bought at the shop. 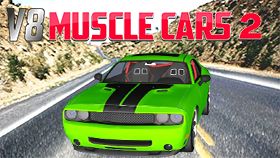 After finishing building your car, you will have a chance to drive it on a race by using arrow keys on your keyboard to move your car forward or backward. There is a gas status bar at the top-left corner of the screen, the further you drive, the less gas left in your car. Try to get to the next gas station as fast as you can, but safely also, because driving too fast may cause accidents. Build your own car – Master your own race! This is a real challenge for a real racer! Hey Racers, would you take this? Let’s work this interesting challenge out! Build your own dream car by assembling car parts given or bought at the shop. 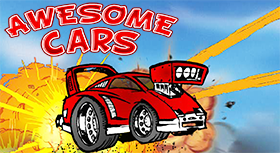 Drive your dream car through different terrain to achieve your best record using the arrow keys. Move slowly and carefully while climbing up since fast speed may make your car fall off. Pay attention to the gas status bar, it will keep running out until you reach the next gas station. Continuously upgrade your car to have better races. 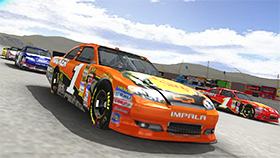 In order to satisfy player’s experiences, we have the Dream Car Racing Unblocked game. You can enjoy this awesome game at Freegames66.com, a popular gaming site for anyone who loves to play Incremental games! Come and build your dream car now with Dream Car Racing Unblocked!